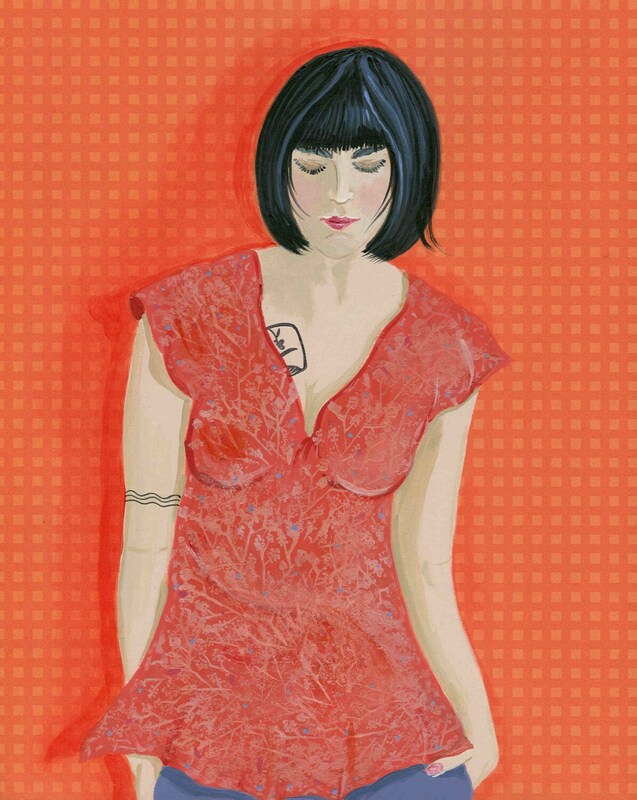 This is a print of one of my "Wallflower" series of women I painted on patterned paper. Each one was labor intensive taking at least six coats of paint. This particular one was going to be a demure redhead, but as I began painting her a different personality wanted to emerge. She has that look as if she's trying to be a "bad girl" but I know she's really soft at heart. Each notecard measures 4x5" and comes with a white envelope in a protective sleeve. If you'd like a print of this wallflower or any others, just convo me for a special order. Prints are $18.00 plus shipping.